ribbon slicer creates straps and strips out of vegetables and fruits. Please note that softer vegetables like cucumbers are not suitable for either the Peel S or Tsuma Taro slicers as they have a soft core. 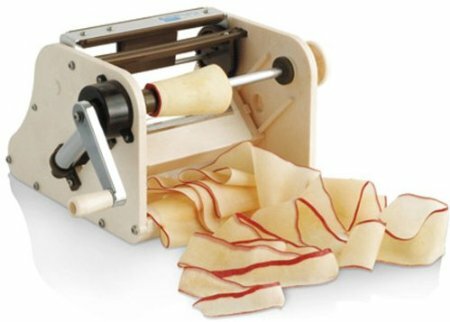 Click the button below to add the Plastic Ribbon Slicer or chiba peel "s" turning slicer to your wish list.